This is a wonderful book for kids about Laura Secord. It is in the acts of Courage series, and I think it fits our Canadian book review challenge for October quite well. As a matter of fact, the four books I review all show how women’s voices were important and how we can all learn from the courage and perspicacity of these wonderful women. The book discusses and shows how Laura Secord was as an old woman, and how Laura’s father owned a pub. As well we learn that Laura worked in that pub too while she was growing up into adulthood. Then the book talks about her marriage to James. They build a good life and they have five children. They own a store. The book also discusses Laura’s walk and how the forest is so beautiful around where she lives. The photographs are stunning. 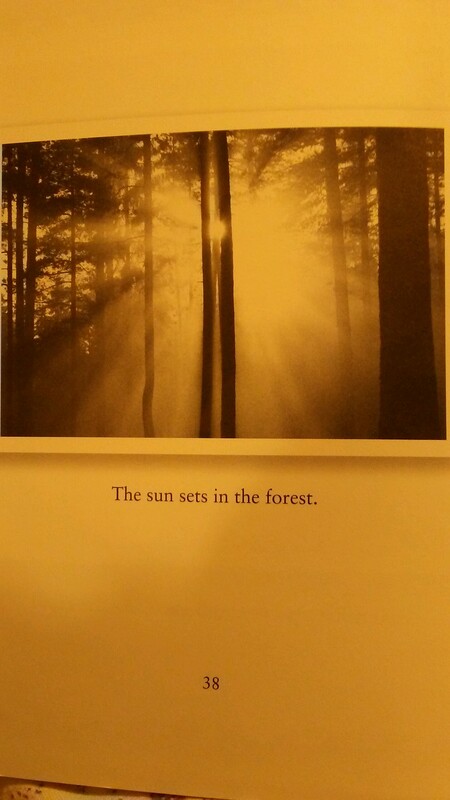 On one of the photographs on page 38, the author shows a photograph of how the sun sets in the forest. I will attach it above. I loved this book from start to finish. I hope you get a chance to read it. It is certainly worth it! This entry was posted in Author from Ontario, Laura Secord, Lives of Women, Strong Women's voices. Bookmark the permalink.